Are you tired with clicking mechanic button? Try our capacitive touch sensor. Right now we can find touch sensor on most electronic device. 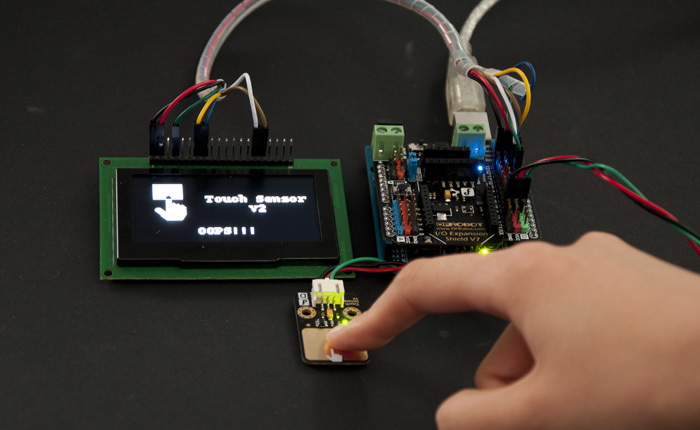 So uprade your Arduino project with our new version touch sensor and make it cool!! This little sensor can "feel" people and metal touch and feedback a high/low voltage level. Even isolated by some cloth and paper, it still can feel the touch. And the sensetivity well decrease as isolation get thick. For detail of usage, please check our wiki. To exetreme user experience of our sensor module, we made following improvement. We can feel our care for customers.